Most of the text in the article can be found below each of the 17 photos in the article. This text as well as the references to each photo are summarized below. Click here to see more information about this beautiful home. This home is also available fully furnished. Building on their love for gardening, antiques and art, the owners designed, built and decorated this six-bedroom family home in Livingston, N.J., in 2000 and have now placed it on the market for $3.25 million. 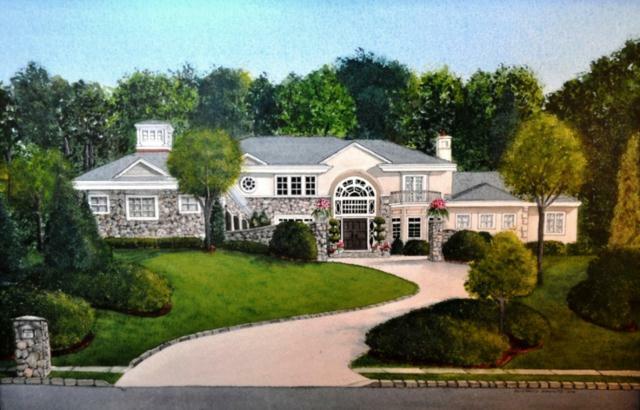 David and Debbie Maurer-Hollaender purchased this property on Westmount Drive in Livingston Township, N.J., in 1998 for $470,00 according to public records. They built an almost 10,000-square-foot home on the property, including a lower-level basement with a home theater, gym, game room, bedroom and full bathroom. Local tax assessor's records indicate the home has almost 7,000-livable square feet, which likely excludes the finished lower level, says listing agent Tony Verducci. The entrance foyer of the home is pictured. The couple spent a year on the design of the home and an additional 18 months to build the house. 'I passionately love every part of it,' Ms. Maurer-Hollaender says of the space. The couple's art collection, which includes work by Picasso, Nancy Cohen and Patricia Nix, features throughout the home and here, in the gallery. Here, the dining room. Mr. Maurer-Hollaender, 57 years old, works in Manhattan in commercial real estate while Ms. Maurer-Hollaender, 56, is a homemaker and volunteers for local charities. The couple have three children; two sons, aged 27 and 19, and a daughter, 25. The family room is pictured. Prior to building the home, the family were living in Marlboro, New Jersey. They chose Livingston for its schools, the land that was available to build on, and its 45-minute commute to Manhattan. On the main level is the kitchen, pictured, as well as a family room, breakfast room, dining room, laundry and living room, three-car garage and master suite. A living room is pictured. Ms. Maurer-Hollaender describes being inspired by her mother, who had a 'passion' for antiques and was a 'marvelous baker and expert in her garden.' Mr. Maurer-Hollaender's parents similarly had passions for 'cooking, art and antiques,' she says. The master bedroom is pictured. The couple designed the home, with Ms. Maurer-Hollaender drawing on her background designing kitchens and baths for a local contractor. It was this experience that inspired her to create her 'dream home,' she says. 'The design and decorating [of the home] was a labor of love,' says Ms. Maurer-Hollaender. The home is set up with one bedroom on the lower level, a master suite, pictured, on the main level and four bedrooms on the upper level. Each bedroom has an ensuite bathroom with a total of eight full-baths and two-half baths. Additional bedroom space could be added on top of the garage, Ms. Maurer-Hollaender says. The master suite has his-and-her closets and bathrooms as well as a library with built-in cabinetry and gas fireplace, one of three fireplaces in the home. Here, Ms. Maurer-Hollaender's bathroom in the master suite. A shower is shared between the his-and-her bathroom spaces. A bedroom in the home is pictured. The couple chose the fabrics and furnishings in the home. 'For such a large home, you feel cozy and calm,' Ms. Maurer-Hollaender says. The couple are open to some of the furnishings, accessories and art being purchased in addition to the sale of the home. One of the home's bathrooms is pictured. With the children out of the house, the Maurer-Hollaenders would like to move back to Manhattan where they first lived when they were married. This is only the third home the family has lived in. While Ms. Maurer-Hollaender says the home is too big for the couple now that the children have moved out, she will miss its size. 'I'll never have this space again,' she says. A second level bedroom, pictured, has a Juliet balcony overlooking the courtyard and ensuite bathroom overlooking the garden. The lower level of the home has a bedroom as well as a recreation room with pool table, exercise room with gym equipment, cedar closet, storage space and theater, pictured, which seats 12. The backyard is pictured in warmer months in this listing photograph. The garden slopes upwards and the pool features a waterfall and jacuzzi. 'I love the gardens in summer, 'says Ms. Maurer-Hollaender, who describes the space as a 'mystery' for the different plant varieties that bloom. The tiered garden features four patio areas and a sculpture garden. Here, work by New York-based sculptor Steve Zaluski. The home was first listed with Weichert Realtors in April 2012 for $3.75 million before being reduced to just under $3.4 million. The property was listed with Tony Verducci, affiliated with Lois Schneider Realtor, in October 2012 for its current listing price of $3.25 million.